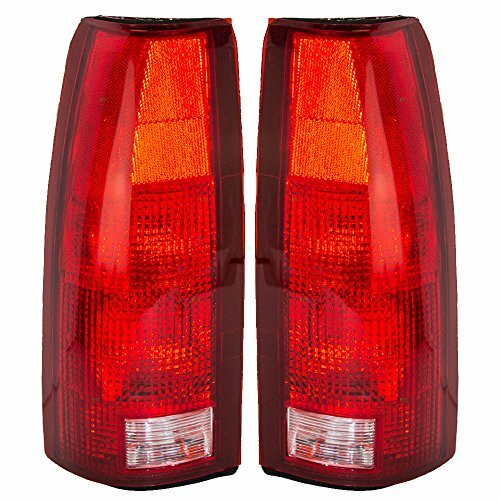 Application2015-2018 Chevrolet Suburban LS 1500,LS 1500 4WD,LT 1500,LT 1500 4WD,LTZ 1500,LTZ 1500 4WD.2015-2018 Chevrolet Tahoe LS,LS 4WD,LT,LT 4WD,LTZ,LTZ 4WD. Installation Guide 2 resistors in the package, don't forget to take them out 2 plugs on each tail light, the small one connects with the resistor, the big one connects with your car. 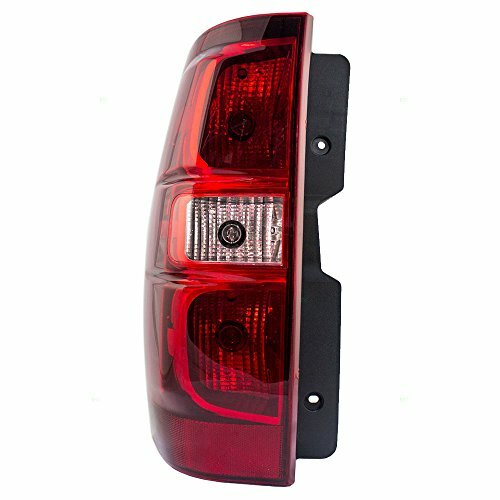 Before installing the tail lights,pls remove the top plastic cover from your car . 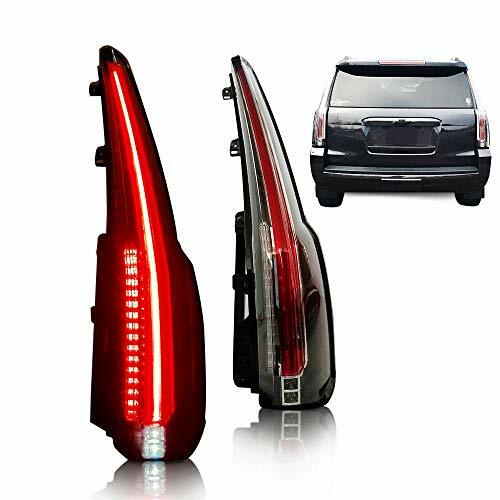 Passenger's TaillightFeatures - DOT StampedFitmentChevrolet Suburban 2007 2008 2009 2010 2011 2012 2013 2014Chevrolet Tahoe (EXCLUDING Hybrid) 2007 2008 2009 2010 2011 2012 2013 2014QualityUnless noted otherwise, these are new aftermarket parts. They are manufactured to align with Original Equipment (OE) specifications and act as a direct replacement for the factory part, not as an upgrade or improvement. They will fit and function as the original factory part did.See Seller details for available warranty, return policy and more. 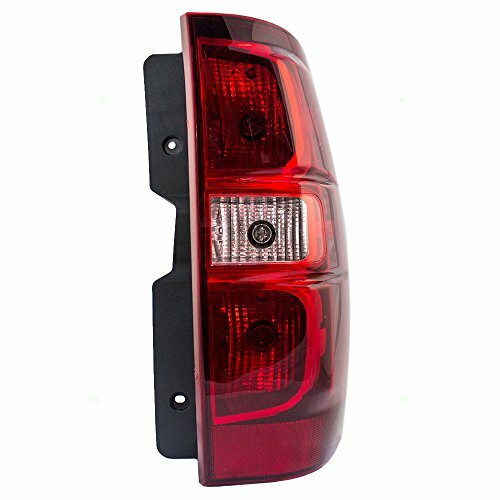 Driver and Passenger Taillight UnitsFeatures - with Black Housing - with Amber Signal Lens - DOT StampedFitmentChevrolet Suburban 2004 2005 2006Chevrolet Tahoe 2004 2005 2006GMC Yukon 2004 2005 2006GMC Yukon XL 2004 2005 2006GMC Yukon Denali 2004 2005 2006GMC Yukon XL Denali 2004 2005 2006QualityUnless noted otherwise, these are new aftermarket parts. They align with Original Equipment (OE) specifications and act as a direct replacement for the factory part. They will fit and function as the original factory part did.See Seller details for available warranty, return policy and more. 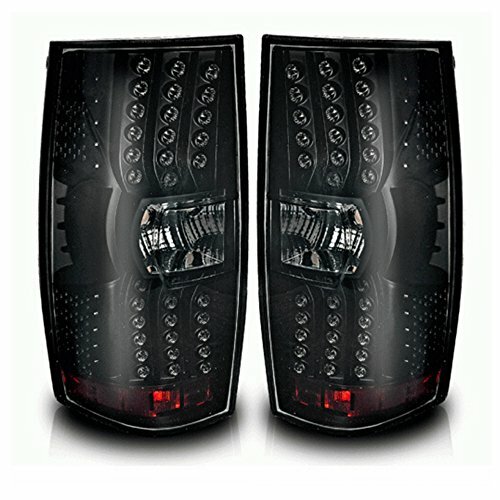 Driver's TaillightFeatures - DOT StampedFitmentChevrolet Suburban 2007 2008 2009 2010 2011 2012 2013 2014Chevrolet Tahoe (EXCLUDING Hybrid) 2007 2008 2009 2010 2011 2012 2013 2014QualityUnless noted otherwise, these are new aftermarket parts. They are manufactured to align with Original Equipment (OE) specifications and act as a direct replacement for the factory part, not as an upgrade or improvement. They will fit and function as the original factory part did.See Seller details for available warranty, return policy and more. 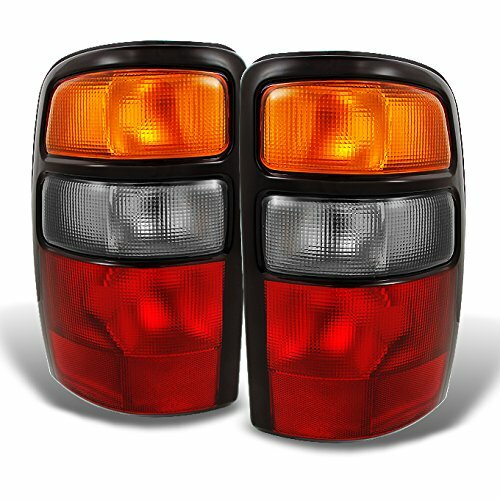 Fitment: 02-06 Chevy/GMC Suburban, 00-06 Chevy Tahoe, 00-06 GMC Yukon/Yukon Denali/Yukon XL/Yukon XL Denali (Do not fit barn door models). Made by an ISO certified manufacturer using materials that meet strict OEM requirements. Reverse bulbs are not included - please use stock bulbs, sockets or wiring for installation. All wiring for the tail lights are pre-assembled for the essential plug & play application. 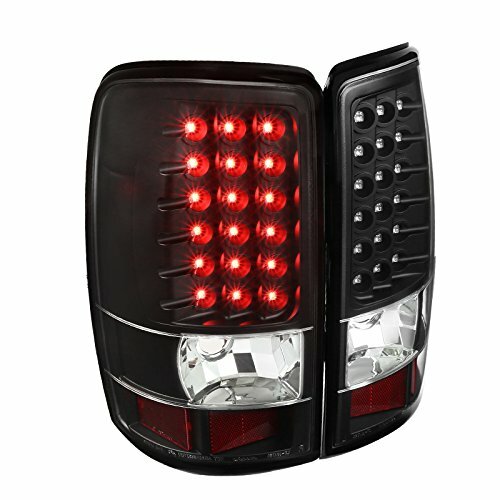 Looking for more Suburban Tail Light Lamp similar ideas? Try to explore these searches: Economy Guitar Bag, Gold Cosmetic Brush, and Dual Female Jack. 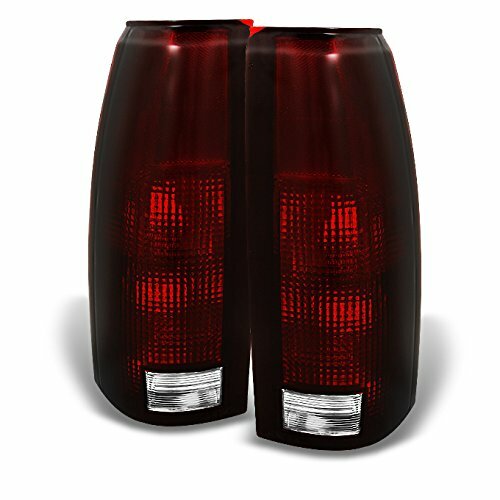 Look at latest related video about Suburban Tail Light Lamp. Shopwizion.com is the smartest way for online shopping: compare prices of leading online shops for best deals around the web. 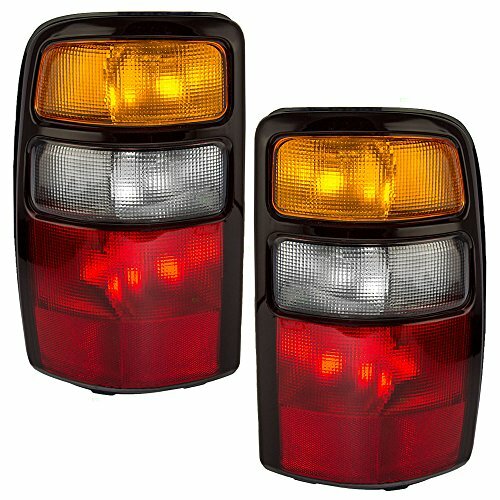 Don't miss TOP Suburban Tail Light Lamp deals, updated daily.